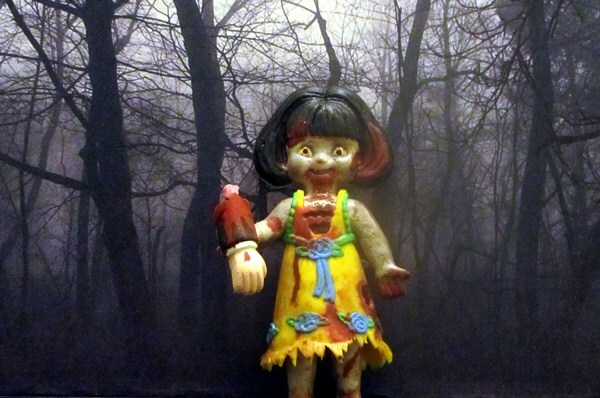 Mike Wins the 2013 Halloween Creepy Crawlers Photo Contest with his Zombified "Dead Dolly"!!! 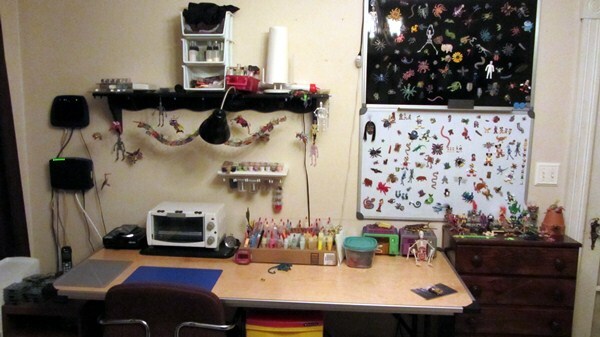 Mike has a really nice workshop for making Creepy Crawlers. He started making them as a kid and then really got into it with his daughter. He is now a grandfather and is looking forward to making Creepies with his grandkids. Thanks Mike for sharing this and the great photos! I would like to thank everyone that participated. Mike wins the grand prize of 6 bottle of any color goop he wants. All others will get a free bottle of glow goop just for participating. We will have another photo contest ending on December 15th so get busy you creepy kids!